Courtesy of DSG Realty, Samantha Hart. Located on the fringe of the Bishop Arts District. Enjoy the benefits of being close to the Arts District wout the cost! Open concept. Completely remodeled from the bottom-up-inside & out. Beautifully finished out with Pot filler, custom Floating shelves & all new Black SS in kitchen. New HVAC system, plumbing & electrical. New roof, Hardy Board siding, floors, cabinets, qrtz counter tops, bathroom dbl sink vanities & closet organizer in the master. W&D hookups. Tankless wtr htr. Relax in your new Steam shower with oversized Rain Shower Head or in your large soaker tub. Enjoy your morning coffee & entertain on your new 20×18 back deck. New driveway and front porch.The list goes on and on. Come see for yourself! Please, send me more information on this property: MLS# 14038034 – $315,000 – 822 Rosemont Avenue, Dallas, TX 75208. 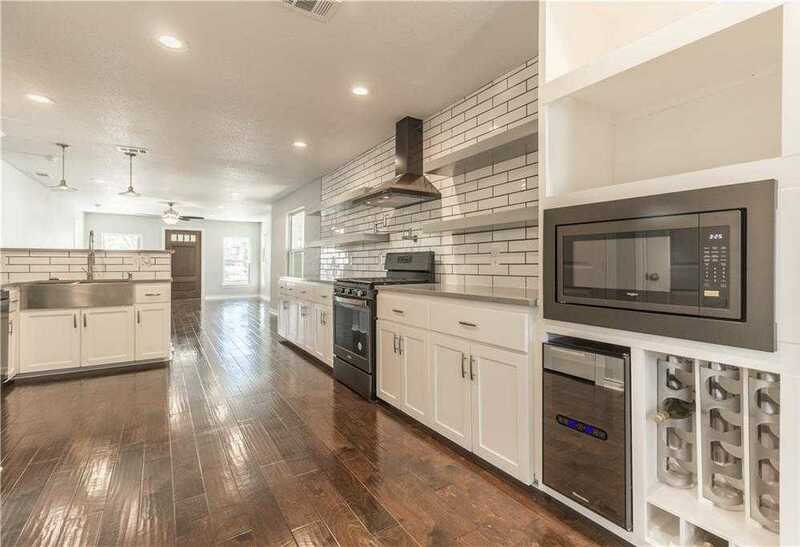 I would like to schedule a showing appointment for this property: MLS# 14038034 – $315,000 – 822 Rosemont Avenue, Dallas, TX 75208.